There's a lot more to living a healthy lifestyle than just what we provide to our clients. For that reason, we're proud to partner with other organizations and businesses that we believe can also help our clients lead the best life possible. All of the links on this page are for products and services that we believe in, and we encourage our clients to explore these options and see if any might be a good fit for them. At the Whole Journey they teach you how to get to the root of your health issues instead of addressing individual symptoms. This can be a combination of issues like hormonal imbalances, immune dysfunction, toxicity, deficiency, or digestive distress. It can also include mental patterns that no longer support you and emotions that have gone unexpressed. The Whole Journey uses food as your medicine wherever possible to help you tastefully enjoy the process of healing yourself so that you can thrive in a way that is fun, flexible, and empowering. 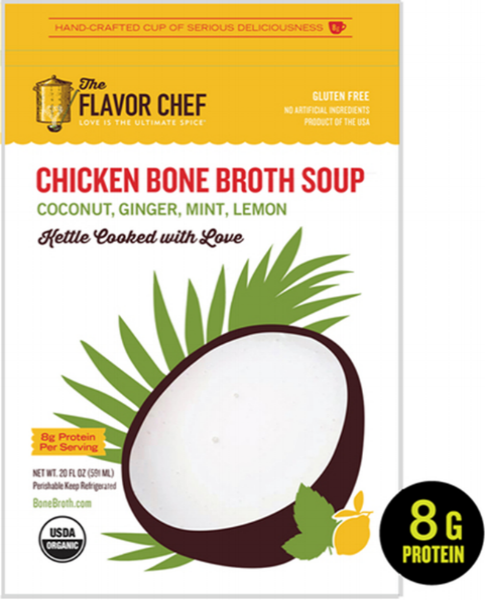 Did you know that bone broth is incredibly good for you? It helps keep your joints smooth, your hair, skin, and nails looking fresh and young, your gut healthy, and your body toxin free. At The Brothery, run by Chef Lance Roll, they know the power of broth, and they're ready to help you experience it as well!